Dr Franco Fiasella is an Italian specialist in pneumology and respiratory diseases. Born in Tuscany, Italy, he was diagnosed with Parkinson’s disease in 2004 and retired in 2010 after a successful career in medicine. Santiago de Compostela, a beautiful city in the north-west of Spain, has long been an attractive destination for Christian and non-religious pilgrims from all over the world. Not only does its cathedral hold the remains of St James, one of Jesus’ apostles, but the promise of the city’s beauty and surroundings has always held its own mysterious charm. 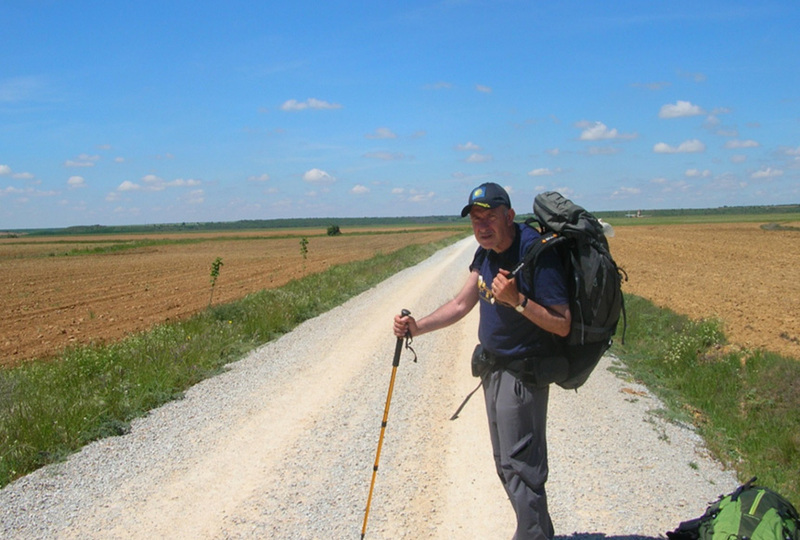 A few years ago, I decided to ignore the scepticism of family and work colleagues and undertake a challenging journey from Tuscany in Italy to Santiago. The adventure changed my way of thinking and also radically altered how I wanted to live my life. Why was the journey challenging? Just before leaving Tuscany in 2005, I was diagnosed with Parkinson’s disease and my world immediately collapsed around me. But I soon decided to fight against my new-found adversity. I quickly learned that physical activity, such as jogging, stretching or other forms of exercise, is essential to keep Parkinson’s symptoms in check. So the idea of ​​leaving home and hiking to Santiago strengthened me. 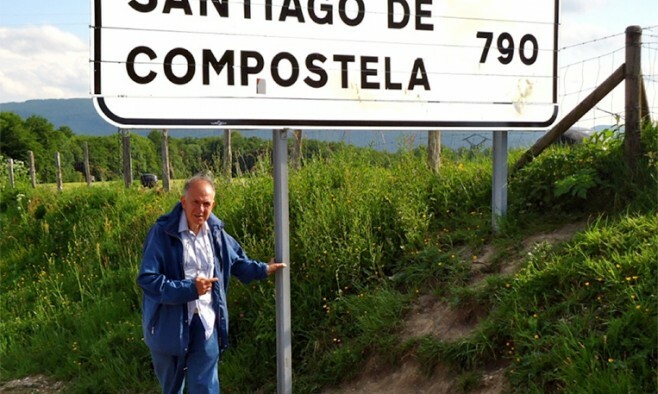 With my backpack and eventually some goodwill, I set off from the pass of Roncesvalles – a high mountain pass in the Pyrenees near the border between France and Spain – and set my sights on Santiago, 800km away. 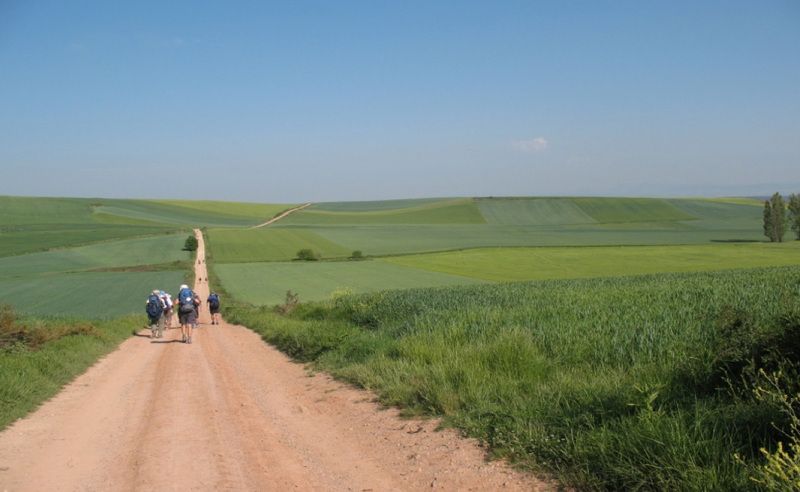 The road initially alternates between flat and more challenging, hilly terrain. On some days I walked more than 30km. On others, sections of the path were so intense that any pilgrim’s strength and will would be severely tested. From the beginning I realised that walking the road would enable me to do some soul- searching. Indeed, I found myself analysing the true meaning of friendship, solidarity and altruism. On the path, I often found room for moments of intense spirituality. In the small village of Granon, for example, the way I was welcomed by the local pastor was simply extraordinary, as was the interaction I had with kind and friendly hospitaleros (hosts for pilgrims). My shelter for the night was a foam mat in the belfry of a church almost 1,000 years old. I was privileged to share convivial moments of prayer and reflection, making the evening an extraordinary experience. Later on, I visited the most fascinating city, Burgos, and its beautiful cathedral. From there I passed vast and flat landscapes whose unique atmosphere gave me an incredible feeling. Finally I reached the ancient trees in the forests of Galicia as the prelude to arriving in Santiago. Visitors enter the city from Mount Gozo, which is a perfect name as it means joy. Pure joy flooded me when I saw the spires of the cathedral rising past the mountain. My goal was approaching, and the emotions I felt were so strong that it was impossible to sleep or rest during the night that preceded my arrival in town. It was a beautiful and unique journey, made even stronger by the soul-searching. However, it would not have happened if hadn’t been diagnosed with Parkinson’s disease. The diagnosis inspired me to push myself further than I have ever been before. It also led me to rethink my life – in terms of what I could achieve both physically and psychologically – and how I viewed my friends and family. By tackling my personal challenge head-on, I achieved a level of peace and spirituality I never thought possible. I strongly urge other people with Parkinson’s to push themselves physically in similar ways – you could be surprised by what you can learn about yourself, your disease and the people around you. The satisfaction and joy I experienced in my first trip led me to repeat it twice more. Looking back on my journeys, I still have so many emotions when I remember arriving in Santiago after a month’s journey in which I battled moments of fatigue and tribulations, but overcame them with confidence and enthusiasm.